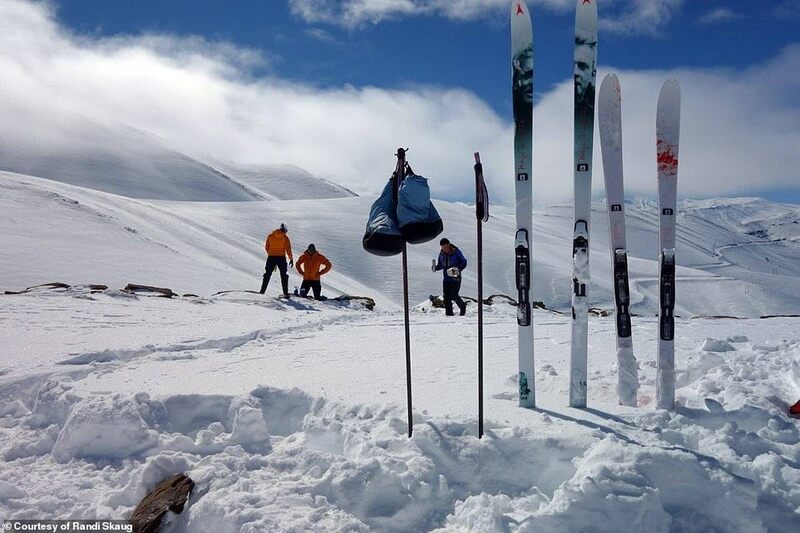 When you think of ski destinations, Iran and Africa don’t naturally jump to mind. But Norwegian explorer Randi Skaug likes to go to more unconventional spots to seek out virgin snow and uncrowded mountains, so these are the places she picked. 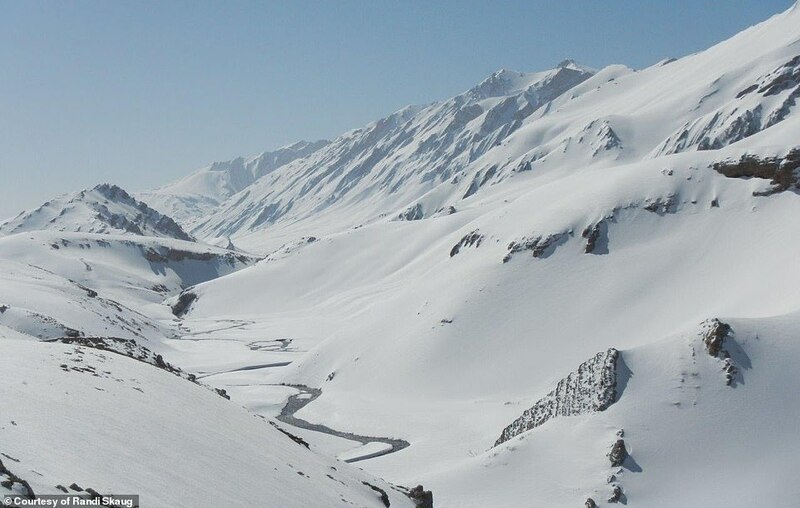 Photos from the charismatic 59-year-old’s ski expeditions to Iran and North Africa show the slopes that made her ‘skis laugh’, such was beauty of the pristine snow, and the welcoming locals who made a lasting impression on her. 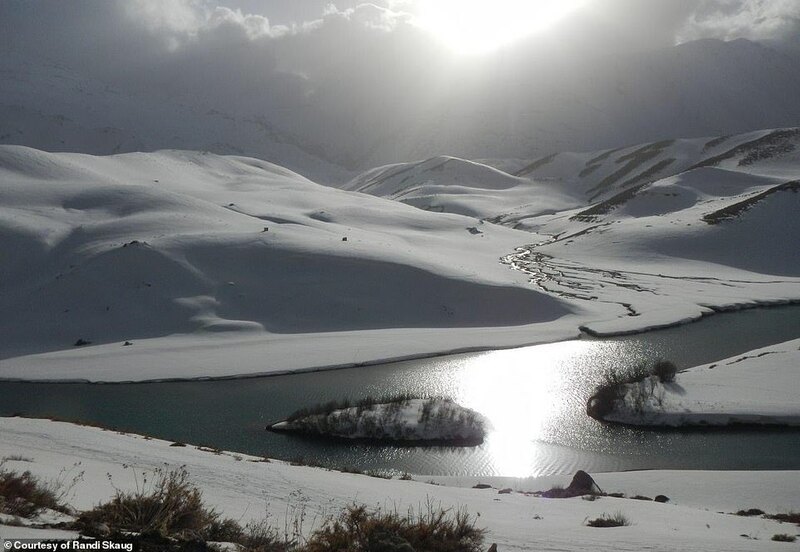 One image captures the breathtaking scenery in Iran, with undulating snowy peaks intersected by a snaking waterway. 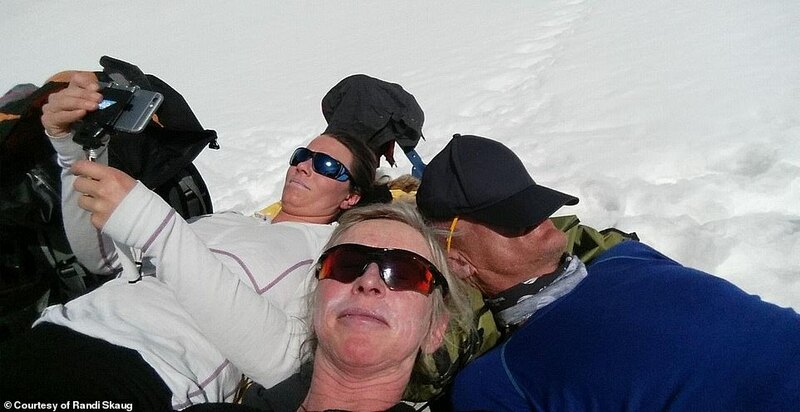 Another shows Randi and her teammates – Brian Kristensen and Janne Lillehagen – taking a break on the slopes, with the sun beaming down from above. 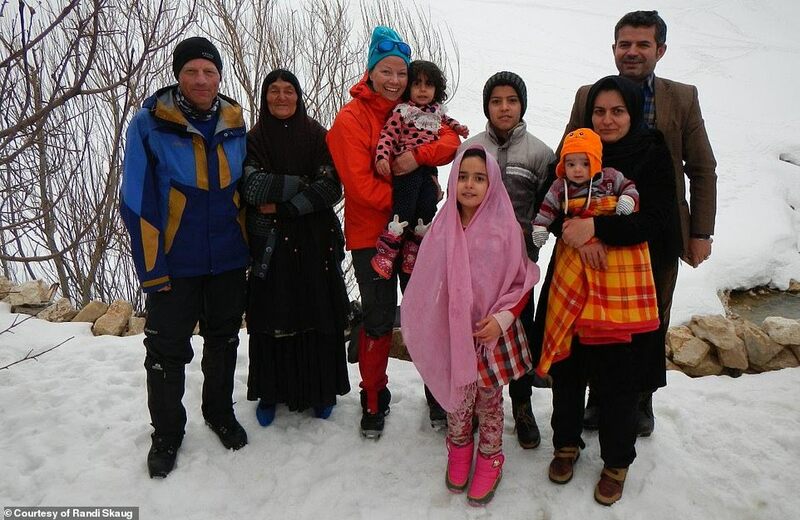 Continuing on the human theme, one photo shows Janne and Brian standing in the snow with a local family. 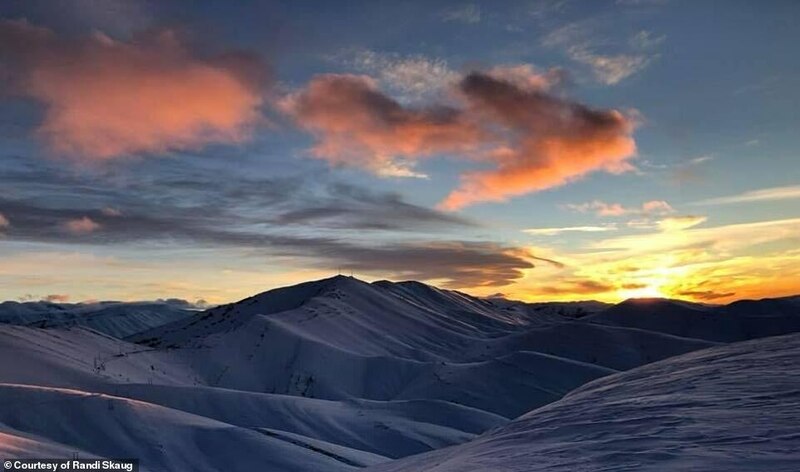 Returning to the landscape in Iran, Randi recounted the moment she ventured into the heart of the Middle Eastern country. 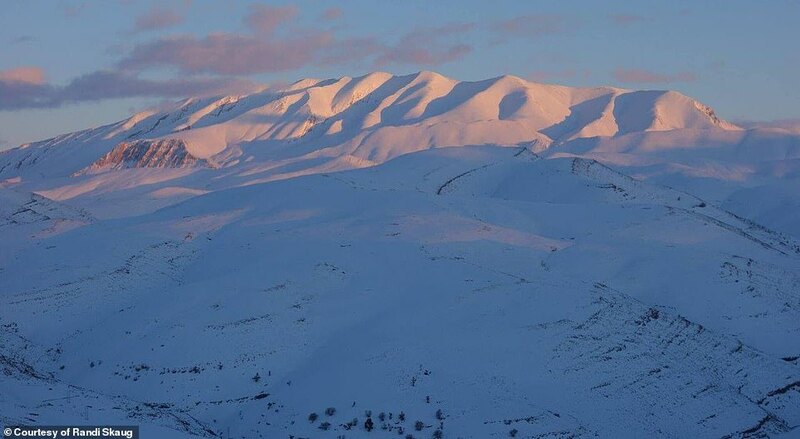 She said: ‘We saw mountains, elongated ridges and fresh virgin snow. 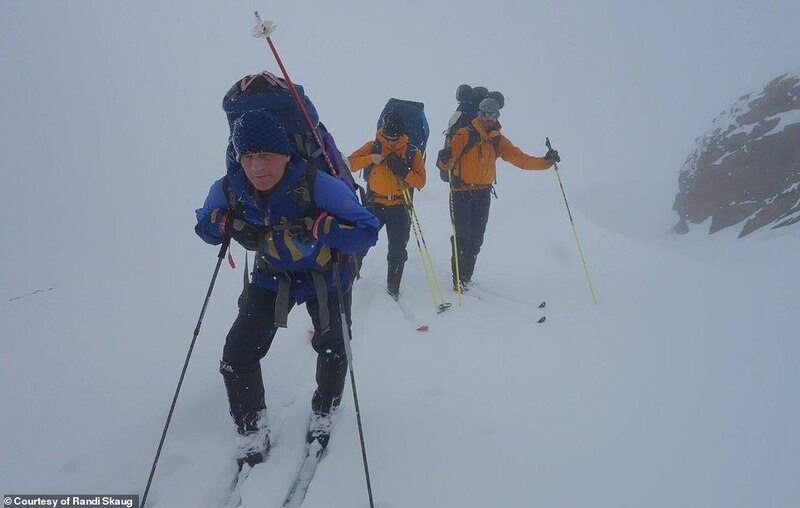 There was no track of human presence – our skis were laughing. 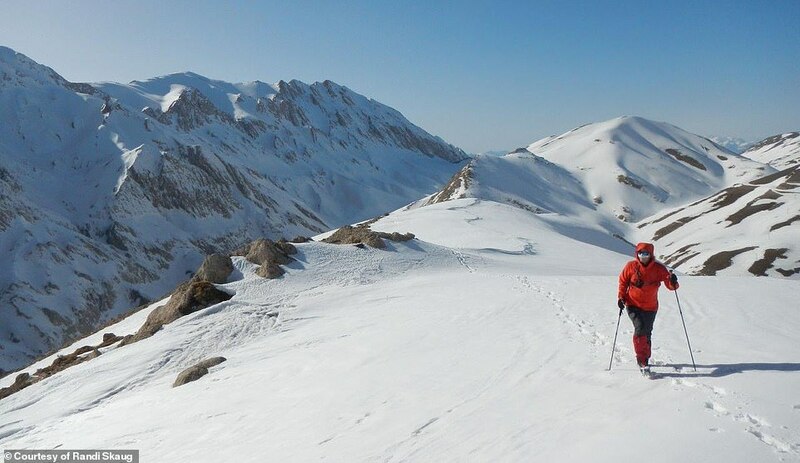 Randi says navigating such remote off-piste ski spots is tricky, as maps are often impossible to get hold of. Therefore, it’s essential to work with knowledgeable locals. Animals can also provide clues around which routes to take, she says. 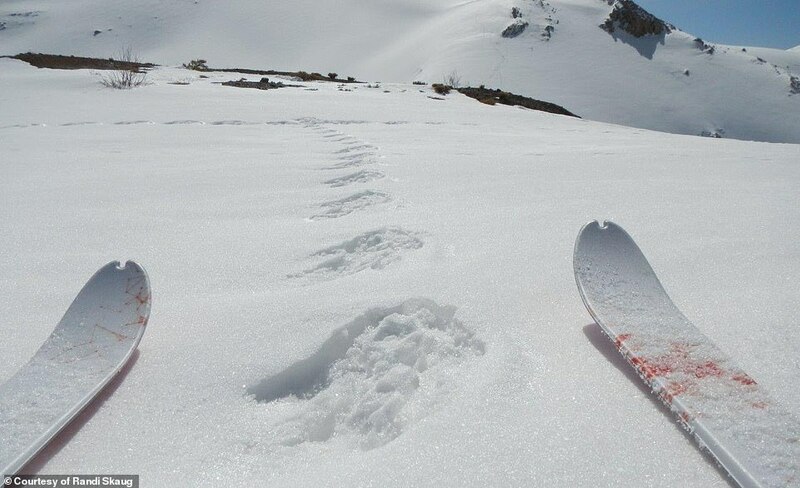 At some points during the trip to Iran, Randi and her fellow skiers followed tracks left by foxes and they also crossed paw marks left by bears and wolves. When you venture into the frozen wilds, Randi highlights that you must ski along carrying everything you need and the packs can be quite heavy as a result. 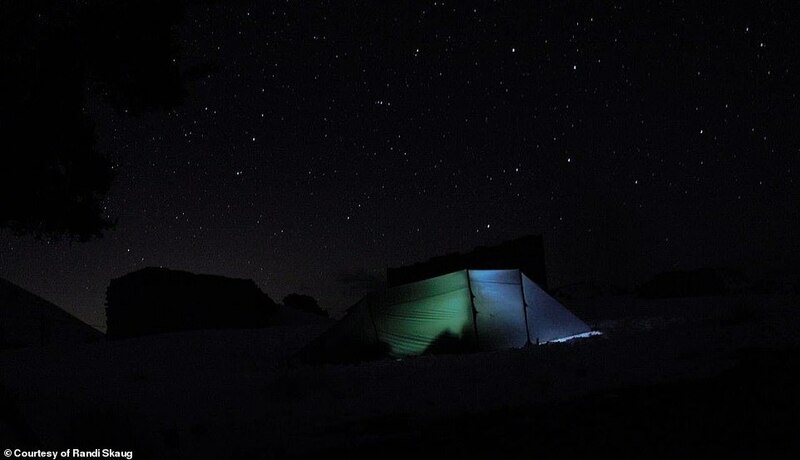 Some of her standard ski supplies include a stove to melt snow for drinking, a warm sleeping bag to combat the cold nights (it plummeted to minus 15 degrees Celsius during the evening in Iran), a knife to keep under her pillow for self defence and food rations. For breakfast, Randi reveals she likes to make her own cereal for breakfast, packed with oats, dried fruit and nuts. Dried milk, water and a lump of butter for energy is then added to the mix. For lunch, the typical treats include ‘heaps of sausage’ and dried reindeer hearts, which are apparently one of the most protein-rich foods you can get. Boil in the bag meals then round out the day for dinner. So, has this Norwegian explorer run into any trouble during her extreme ski trips? 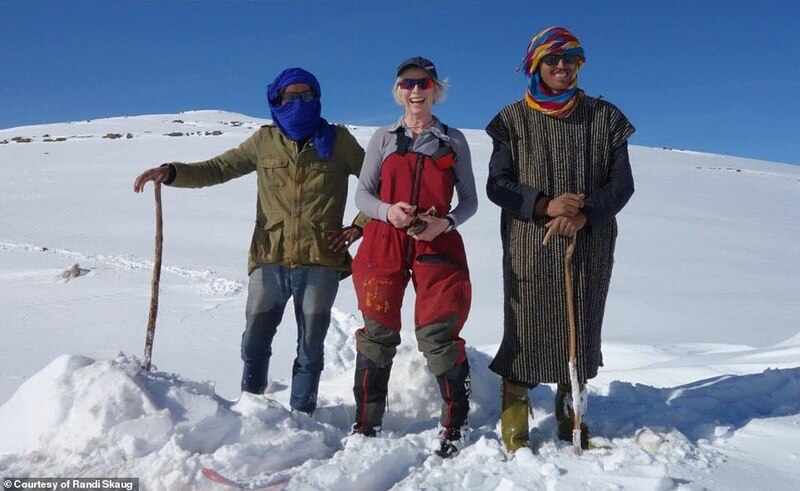 Randi says there weren’t any major problems while she was skiing through Iran and North Africa – apart from the time she was arrested in the High Atlas Mountains in Morocco. After she’d ventured into the mountainous area with her two companions, they were arrested by local policemen who were suspicious about what they were up to. They don’t tend to get many people armed with skis in the area. Eventually after negotiating with the local authorities, Randi and her team got permission to continue on, although apparently the police thought their skiing antics were a little crazy. 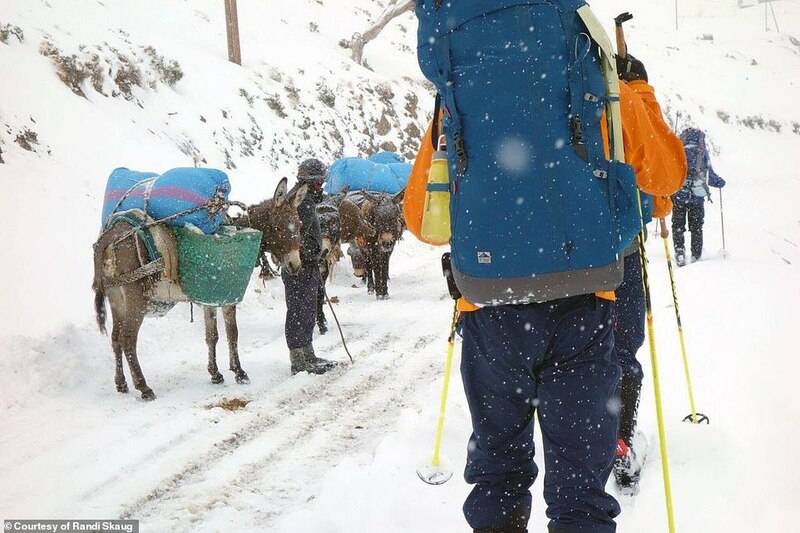 The mayor even sent out scouts to follow the skiing party along the way, as he was concerned about their safety and according to local custom, he is held responsible for all tourists in the region. So, where is next on the map for Randi? She says she is now gearing up to go skiing in Mongolia in 2020. Adding a twist to this trip, she will be going to the sparsely-populated country with a 24-year-old Australian who is still learning to ski. Joseph Rago, who is from a small island in Queensland, bumped into Randi after he decided to go to Norway to seek out a new future after leaving the military. The duo instantly hit it off, with a shared inquisitiveness about the world and Randi is acting as a sort of mentor to Joseph. 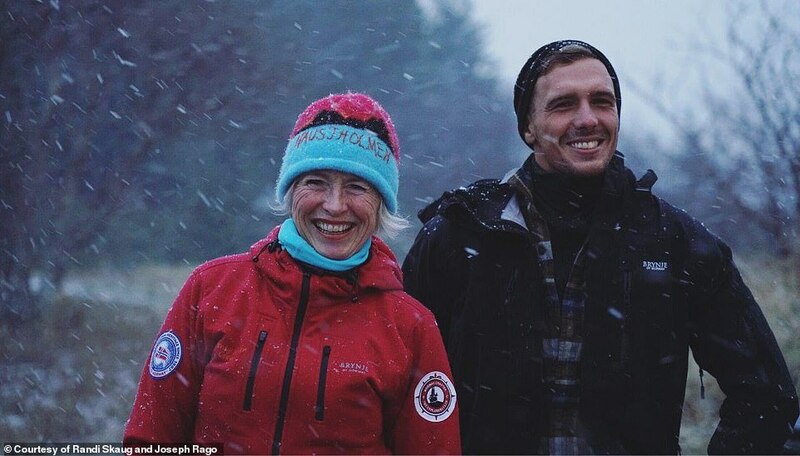 Ahead of their Mongolia expedition, they have started an Instagram account call @oddtripz where people can track Joseph’s progress on the slopes. Their aim is to grow OddTripz into a project that will help others – like Joseph did – to feel the healing power of nature. Randi says: ‘We just want to show that it’s possible to work against fear and expectations of others.